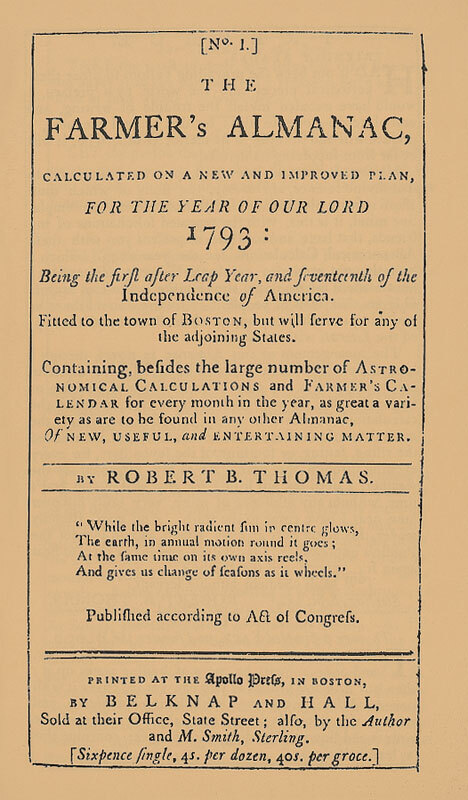 The Farmers’ Almanac was first published in 1792, with articles and predictions for 1793. When I was a kid, and a blossoming weather nerd, I used to love reading the Farmers’ Almanac. They always had these cool little tidbits about past weather events and I was always amazed at how they projected tides and moon phases and things like that a year in advance. However, I never paid much attention to their wild weather predictions, as fun as they were. Whenever their predictions panned out though, it always felt like magic. The truth is, however, that there was little science behind this magic. The Farmer’s Almanac is a vestige of a time when meteorology was in its infancy. When the Farmers’ Almanac was first published in 1792 (a competing publication with the same name was published in 1818), we understood very little about how weather worked. In the 19th Century, astrology was quite popular and a common theory was that weather could be predicted well in advance by studying the alignment of planets, the Moon, and the stars. 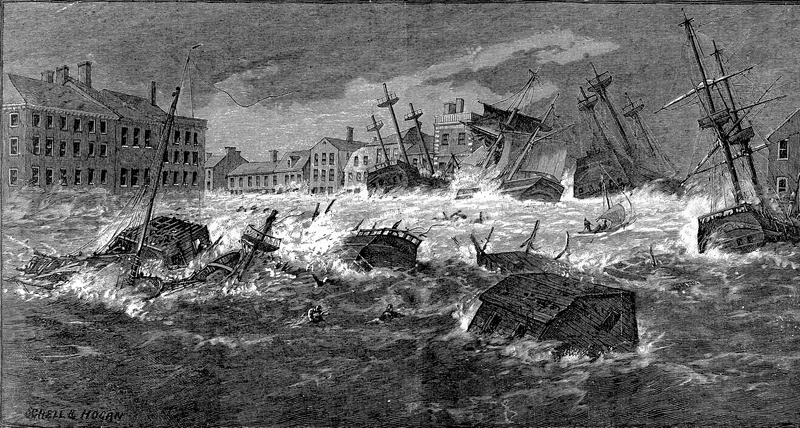 Stephen Saxby’s prediction of the hurricane that hit New England in 1869 earned him much acclaim but they were based on flawed astrological principles. On Christmas Day, 1868, British Royal Navy lieutenant and amateur astronomer Stephen Saxby submitted a letter to the editor of the London Evening Standard, predicting severe high tides in the North Atlantic on October 5 of the following year. Nine months later, on September 16, 1869, Saxby submitted another letter, this time warning of an “atmospheric disturbance” between October 5th and 7th at an undetermined location. Lo and behold, on the evening of October 4, a Category 2 hurricane clobbered New England, killing more than a hundred people. 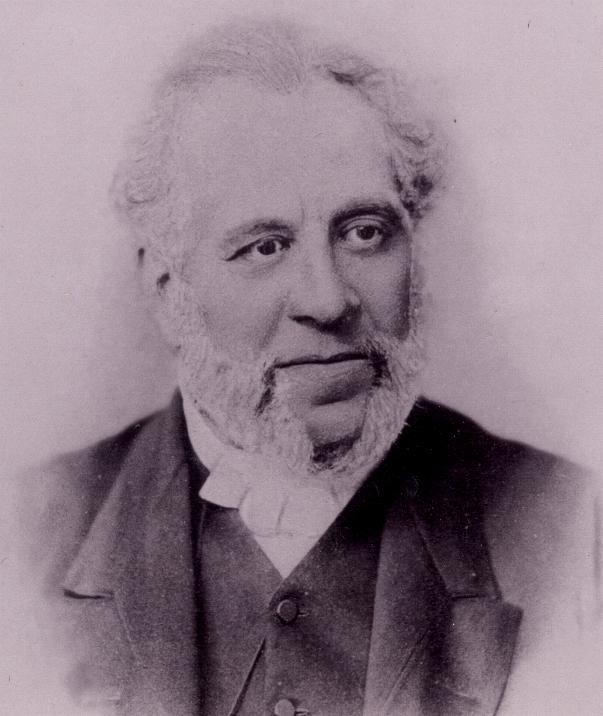 Saxby received considerable acclaim for his predictions, and it seemed to vindicate proponents of the theory that the alignment of celestial bodies affected the weather. It was one of the first successful forecasts, but based on flawed principles. Before modern meteorology, people had to live with the fear that they could be struck with terrible devastation virtually without warning. Saxby’s ideas were not as outlandish as you may think and it was the source of intense debate at the time. Even in the 19th Century, science had known for centuries that the moon affected the tides. Also, solar activity has now been found to have a major effect on climate. So the belief among many scientists at the time that the answer to our weather lay in outer space was not a farfetched one. Now we know better, and even then Saxby’s ideas were met with substantial criticism, but in the 19th Century, scientists didn’t have a lot to go on. There were no satellites or radar or even airplanes. The only warning came when some other poor sap got hit without warning, be it on land or a ship at sea, and hopefully survived to get the word out to places that might be in its path. This uncertainty understandably led to a lot of fear and people looked desperately for someone to find the answer to the great biblical mystery that was weather and its terrible “Acts of God”. That’s where publications like the Farmers’ Almanac came in. Every year, they came out with predictions based on secret knowledge that at least seemed to get it right a lot. This perception probably had more to do with people being so amazed with the successful predictions that they forgot about the not-so-successful ones, than it did with good science. 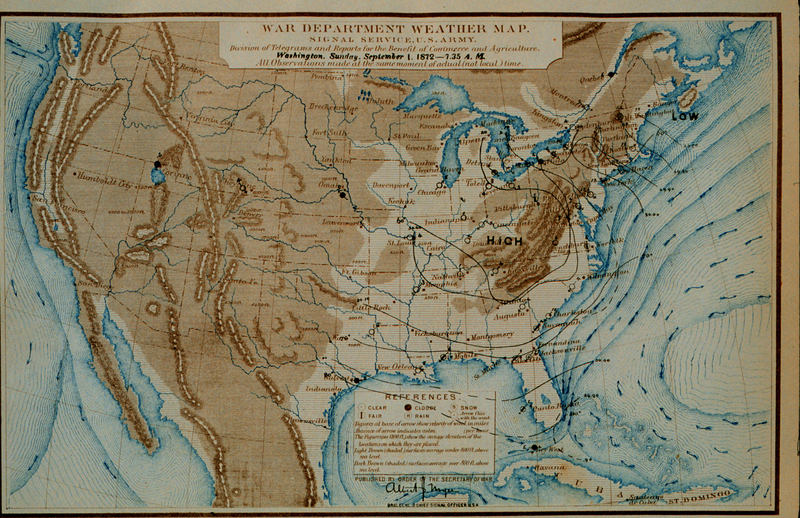 The US Weather Bureau, the precursor to the National Weather Service, was founded in 1870 and began regularly producing weather maps, which debuted in the 1860’s. They were part of the wave of scientific innovations in the field of meteorology that took place in the latter half of the 19th Century. But times have changed. Modern technology has allowed meteorology to step out of the realm of mysticism and into real science. Weather radar was born out of the aftermath of World War II and he first weather satellite, TIROS I, was launched in 1960. Innovations such as these revolutionized the field of meteorology and enabled drastically improved forecasts. Also, the 1960’s saw an increase in climatological and statistical research and improvements in modeling. The first forecasting model came out in 1955 and was very primitive by today’s standards but it was a dramatic improvement over what really amounted to educated guesswork. Improved models began to be introduced in the 1970’s. The fear and the uncertainty that the Farmers’ Almanac assuaged began to ebb. The publication has now become more of an amusing oddity than an impactful weather publication, and while its ability to attract young people such as my younger self to weather is admirable, it no longer has the public influence it once did. It has become the magic 8-ball of meteorology. It’s fun to shake it and see what it says about the future, but it would be foolish to take any of it seriously. Reading the Farmers’ Almanac is a bit like reading your horoscope in that as unsubstantiated as the science is, it does raise awareness of things that could potentially happen and may make people pay more attention to real forecasts. That’s what I hope anyway. I think the Farmers’ Almanac has hung on largely because long-range forecasting remains an area where skill is very poor. We’ve gotten a lot better (and even with all its problems, I’d say current long-range forecasts are still better than Farmers’), but there are still high error rates in products like monthly and seasonal forecasts. As long as there’s that area of uncertainty, I think Farmers’ will find a niche. But more than that, it’s just fun to read, just like anything claiming a magical ability to predict the future. Just be glad we no longer live in a time where the Farmers’ Almanac is all we have. This entry was posted in Uncategorized and tagged farmers almanac, forecasting, meteorology, science, weather. Bookmark the permalink.